Here at Natrazorb we manufacture products from coconut and coconut byproducts. Welcome to the online store for Natrazorb Limited - the home of Tropibed, Tropichip and Elcef Fibre. 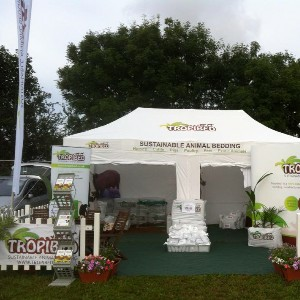 Tropibed is a 100% natural and sustainable hygienic animal bedding, suitable for everything, from pets to farm animals. Developed to be highly absorbent, Tropibed provides the best bedding whatever the animal. 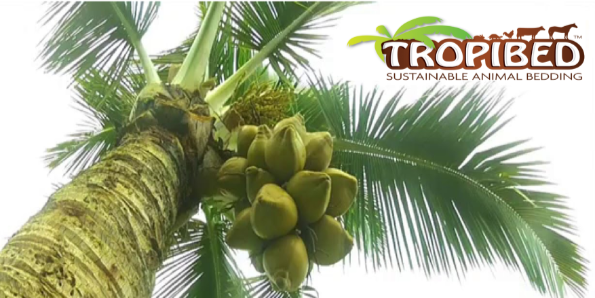 Tropibed is a natural sustainable byproduct of the global demand for coconut products. WHY USE TROPIBED ANIMAL BEDDING? Tropibed is designed to be the most versatile, durable bedding on the market, suitable for the widest range of animals of any animal bedding. Tropibed was created to give animal owners a reliable and plentiful supply of animal bedding in a market which is subject to national shortages of traditional materials. Tropibed™ can also be used to add grip to concrete surfaces for animals, such as in livestock markets and animal transport applications. Animal welfare is also addressed as Tropibed keeps animals safer by keeping them cleaner. High volume to weight ratio gives any animal housed on Tropibed more support, cushioning, warmth and therefore more comfort. Comfier animals are happier and healthier animals. This leads to higher productivity in commercial animals. "Well packaged, a great bedding for my girls ,many thanks😉"
"Excellent ! Would recommend fast delivery too"
Compressed Chipped Coir Blocks. Ideal for use for Snake and Reptile Bedding. Approx 50 litres material per block.